Gżira (Maltese: Il-Gżira) is a town in the Central Region of Malta. 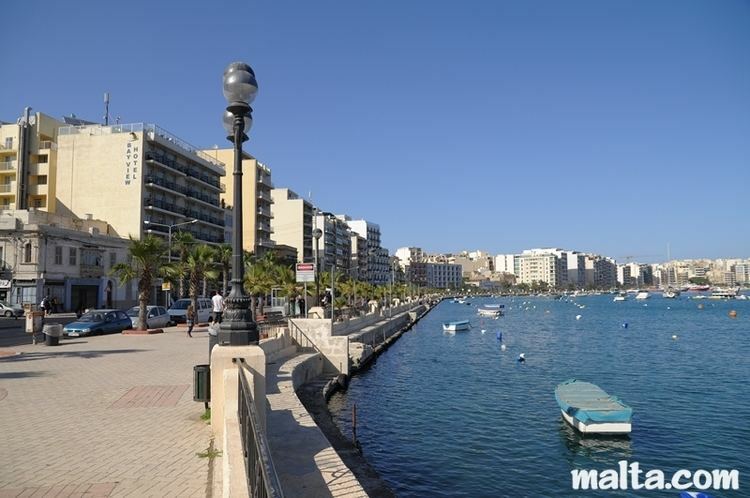 It is located between Msida and Sliema, also bordering on Ta' Xbiex. It has a population of 8,029 as of March 2014. The word Gżira means "island" in Maltese, and the town is named after Manoel Island which lies just adjacent to the town. The seafront of Gżira is famed for its views of the walled city of Valletta, which are illuminated at night, forming a picturesque backdrop to Manoel Island, the yacht marina and a seafront public garden. Kappara is located close to Gżira. Manoel Island in Gżira's Marsamxett Harbour, was originally known as l'Isola del Vescovo or il-Gżira tal-Isqof in Maltese (literally translated as "the Bishop's Island"). In 1643 Jean Paul Lascaris, Grandmaster of the Knights of Malta, constructed a quarantine hospital (Lazzaretto) on the island, in an attempt to control the periodic influx of plague and cholera on board visiting ships. The island was renamed after António Manoel de Vilhena, a Portuguese Grandmaster of the Knights of Malta under whose leadership Fort Manoel was built in 1726. Fort Manoel is considered a marvel of 18th-century military engineering. The original plans for the fort are attributed to Louis d'Augbigne Tigné, and are said to have been modified by his friend and colleague Charles François de Mondion, who is buried in a crypt beneath Fort Manoel. At one time, the Knights of Malta considered developing a walled city on Manoel Island, but instead they settled on a fort designed to house up to 500 soldiers. The fort has a magnificent quadrangle, parade ground and arcade, and once housed a baroque chapel dedicated to St. Anthony of Padua, under the direct command of the Order. During World War II, Manoel Island and its fort were used as a naval base by the Royal Navy, at which time it was referred to variously as "HMS Talbot" or "HMS Phœnicia". The Chapel of St. Anthony was virtually destroyed following a direct hit by Luftwaffe bombers in March 1942. For several years now, Manoel Island houses a quaint, informal sanctuary for ducks and other waterfowl, created and maintained by a local volunteer, and funded entirely by private donations near the bridge connecting the island with the main island. As of November 2006, the historic fort was undergoing significant restoration and renovation works, and a new housing development was under construction on Manoel Island. The Manoel Island redevelopment project, however, has been heavily criticized due to its proximity to the island's important historical buildings. A guarded barrier some 300 yards after the bridge makes it clear that the public is not welcome on the largest part of the island. In the mid-19th century a villa was built in Gżira by Chevalier Jacob Tagliaferro. Slowly Gżira started developing into a working-class suburb of Sliema. Until the 1970s, Gżira was host to brothels, particularly the Snake Pit, Britannia and the Granada along and in proximity of the Strand, which economic activity ended when the British Service left Malta on 31 March 1979. Tables have turned and the regenerated Gżira is now host to a business community of hoteliers, restaurants, financial institutions, legal firms, online betting companies, real estate and offices amidst a multi-ethnic and multicultural community of residents. Since the last decade, Gżira had a real estate boom, and new buildings, mainly apartments, replace the old buildings. As a result, much of the character and charm of the seafront houses has changed, although in the heart of Gżira there are still examples of traditional Maltese façades, with timber balconies (Gallarija) and bow-fronted, wrought iron balconies. The proliferation of modern apartments in Gżira as well as the development of high rise buildings, namely Metropolis and 14 East, led to an inflation of housing prices, as the town became sought after by both Maltese and foreigners. The Roman Catholic parish church of Gżira is also known locally as tal-Ġebla. Its literal translation means "of the stone". In fact it is a reference to an incident which took place in Gżira on 10 July 1902. Three British drunken sailors, William Walls, Charles Thurbull and John Packhun, wanted to enter a bar, which at that time of day was closed. When Karmnu Brincat, the owner of the bar, refused to open, the sailors started throwing stones at the place. One of these stones hit a small shrine depicting a picture of Our Lady of Mount Carmel hanging outside the bar. The stone broke the glass of the frame, but did not make contact with the portrait itself, which remained intact. Notwithstanding the wind, the stone remained fixed within the broken glass. The stone was removed by Rev. Anton Manché and taken to the Stella Maris Parish Church in Sliema, whose parish priest at the time was the Rev. Francis Vincent Manché, the brother of Rev. Anton Manché. For three days, prayers and services for reparation were held. Rev. Anton Anton Manché managed to set up a small chapel in Gżira where the small shrine was taken. On 7 July 1913 Bishop Pietro Pace declared the chapel as a vice-parish. On 15 May 1921, Bishop Don Mauro Caruana declared the chapel as a parish. Rev. Anton Anton Manché was the first parish priest of Gżira. The existing parish church was built between 1921 and 1935. The second parish priest in the history of the Gżira parish was the late Rev. Carlo Manché, a man revered by many locals as a saint. He became parish priest of Gżira on 12 March 1935 until his death on 18 November 1950. The frame, the broken glass and the stone that was thrown at the portrait of The Madonna have been very well preserved, and today they can still be seen at the beautiful parish church of Gżira. The parish church of Gżira is dedicated to Our Lady of Mount Carmel, and its annual festa (village feast) is celebrated on the second Sunday of July. The main reason behind the area's popularity is that it is fairly centrally located in Malta, being close to both the University of Malta and the capital, Valletta. Service industries, commercial outlets and educational services are the town's main activities. The betting company Tipbet has its headquarters in the town on Sir William Reid Street. The crime rate in Gżira is very low and the town is generally as safe as the rest of Malta and Gozo. Gżira's population has been fairly stable over the past few years, hovering around 8,029 people as of March 2014. It is known as being quite a multicultural town, with well-established and fairly integrated immigrant groups. Gżira has been twinned with Glyfada (Greece) and Wałbrzych (Poland). The Gżira Local Council as a local government has been set up since 1994 and is regulated by the Local Council's Act XV of 1993. There have been seven legislatures. The current legislature is chaired by Mayor Conrad Borg Manché, Deputy Mayor Ralph Mangion, Minority Leader Wayne Hewitt and Councilors Graziella Schembri Attard Previ, Neville Chetcuti, Joseph Galea and Jeremy Cardona. The Advisor of the Gżira Local Council is Fabian Borg, who mainly coordinates local policies in conjunction with the elective and assists the Executive Secretary in the day-to-day administration of the office. Borg has been in office since 1 February 1996 and served under all the legislatures and respective mayors. Acting Executive Secretary Michael Portelli heads the Gżira Local Council Administrative Office.